"Congratulations Jonathan in the growth of your business! Our building has been complimented more times than I can count. Thank you for being a part of making it possible." "We could not have asked for more from Lamar Architecture and Design. Jonathan managed to somehow consider ALL of our ideas and hopes for restoring our historic building and bringing it back to life. 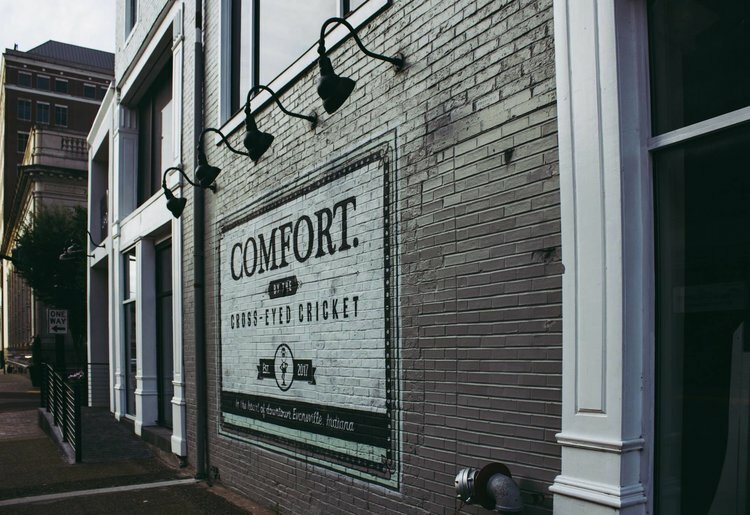 We shared historic photos of the building at its best, but instead of simply mimicking that exact appearance, Jonathan was able to subtly incorporate newly added upgrades for functionality while staying true to its historic luster. As first-time clients, Jonathan was able to ask the right questions to essentially jump inside of our brains to put pen-to-paper and design exactly what we were dreaming. He was able to balance listening to our ideas and following our train of thought, while proposing creative suggestions in very helpful circumstances. He gave us direction and a vision to rally around. Jonathan delivered exactly what we needed, met every deadline, and did so in a professional manner while being a joy to work with. Many thanks to you, Jonathan, for bringing this project to life!" "It is with the utmost confidence and enthusiasm that I recommend Lamar Architecture & Design to help bring a fresh and unforgettable look to downtown Evansville. Jonathan and his team are not only good at what they do, they're also a joy to work with. It's easy to see that they take ownership in the projects they're part of. Many times the Lamar Team has gone above and beyond what we've asked or expected of them as we've worked together to establish a vision for the expansion of our campus here at the United Methodist Youth Home. Their patience with us and passion for their craft has added incredible value by helping solve problems (sometimes before we realized them) and resolve issues that sometimes arise when designing facilities for a very regulated industry. If you're looking for a team that is innovative, hard working, and willing to go the extra mile to produce an exceptional product, look no further than Lamar Architecture & Design." "5-Star experience with LA+D! Jonathan and his team have done an extraordinary job with my home, and I would highly recommend them to anyone needing architectural services. They really went above and beyond to make the whole process a success and enjoyable. Thank you guys!" "Jonathan and his team at Lamar Architecture and Design are a joy to work with. They are creative, talented, and dependable. I would recommend them to everyone. I leave every meeting with Jonathan excited about what is possible."